Join fellow cyclists at BRBC’s first social for 2017. 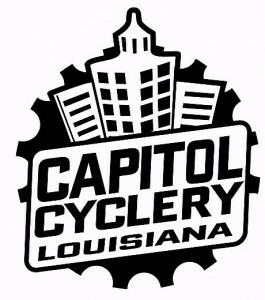 Its time to meet the 2017/18 board members and network with riders in the Baton Rouge area biking community. As in the past, bring your favorite food dish to share with the group. 2017 members as of midnight 1/14/17 will get at least 2 drinks ( beer, wine, soda) on the club. Also, join BRBC for the pre-winter social ride starting at City Park Tennis Center. Come join us for the Sunday version of the Tour du Café, special edition. Ride starts from the City Park Tennis Center (Perkins @ Magnolia/Broussard) at 12:30 for 20-30 miles depending on who comes along. This ride has only one start point to be able to finish and attend the BRBC winter social event for members only at Brickyard South beginning at 5 PM. This is a no drop ride with a C pace (10-15 MPH but no faster than the slowest rider). It is also known for its teachable moments, as many times less experienced riders will be able to learn from the more experienced participants. No classroom or test, but wouldn’t you like to learn how to avoid a crash, or change a flat quickly?